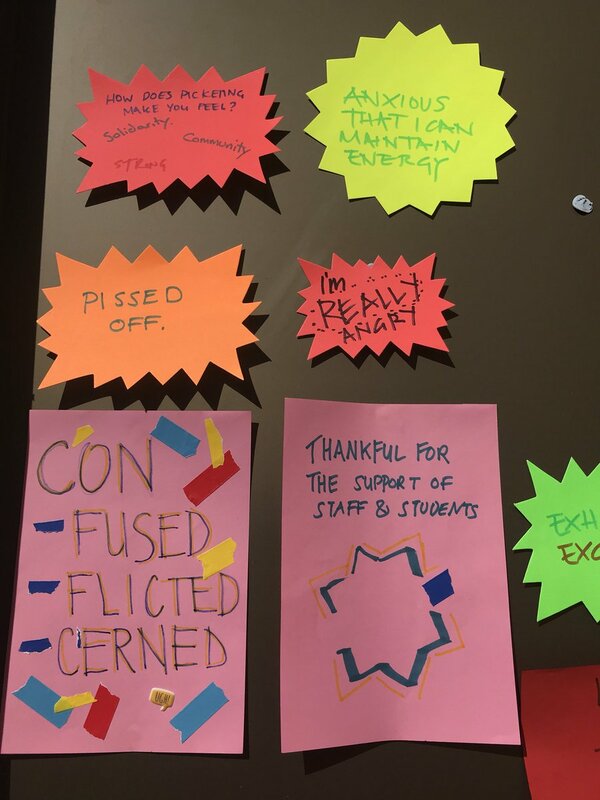 UNIVERSITY/INTERRUPTED was a teach out led by Jade French (QMUL) and Claire Tunnacliffe (Bartlett) exploring the affective impact of striking on staff, students and supporters. 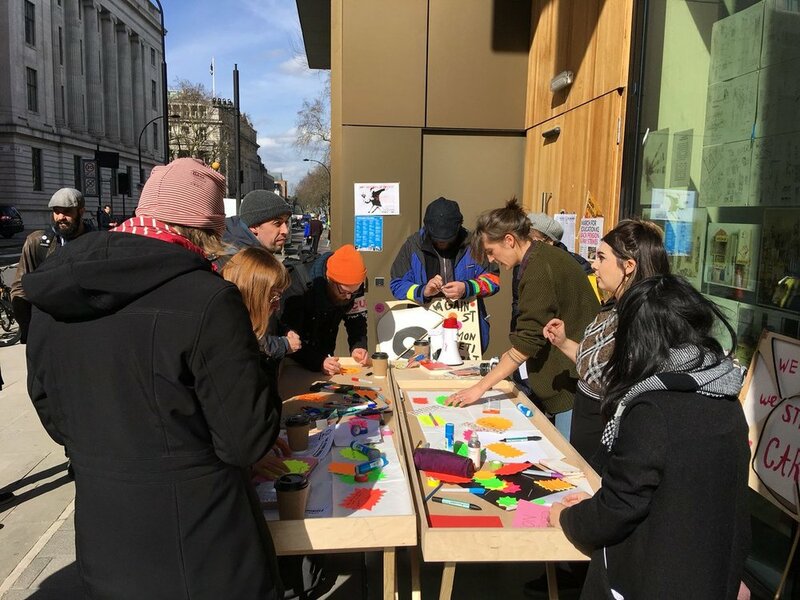 Occupying public space, the picket line was used as a creative space to discuss the relationship between striking, and the precarity between mental health and the university. Through drawings, stickers, origami and writing, participants created and shared what they were making in response to how they were feeling; their anxieties, excitement, apprehension, exhaustion, pride and solidarity. The workshop revealed a complex range of emotion, that swing and overlap between themselves. With the likelihood of the strikes rolling into a second phase, many participants spoke about the prospect of gathering up renewed energy, but also how they will be able to return back into the building after four weeks. Collectively, the group decided to leave these messages facing inwards into the building, a reminder that we're still here, even though we're a nervous, and quite a bit tired, but we're not going anywhere. Being able to them 'release' their creations into the public sphere, meant also exploring the cathartic process of articulating these emotions and letting it go. UNIVERSITY/INTERRUPTED was a pop up workshop as part of the strike, hosted by RESEARCH/INTERRUPTED an online platform and monthly social space for phd researchers struggling with their personal mental health run by @liminal__spaces.